Nil Admirari: Are we too damned civilised? Having, as I do, a neurotic aversion to dirt and grime of any sort, I naturally enough could not help but watch a programme last night called Filthy Cities. This particular episode was looking at just how filthy Paris was during the French Revolution, and things were well under way when I tuned in. It was really filthy, particularly in light of all the heads that were being removed from all the bodies. The presenter – a youngish man with a boyish charm and a certain swagger – was at that point describing, with great glee and animation, the sound the guillotine would make as it sliced its merry way through yet another appendage of skin and bone and muscle and blood. Apparently it made quite a thwack! But in case we didn’t get the idea sufficiently clearly, a wonderfully animated depiction showed us what it was like (I’m assuming it was animated, but given the lengths to which shows will now go to achieve verisimilitude, perhaps it was real), complete with a close-up of the blood running out of the basket and onto the street. Then a close-up of a dog – actually, it looked more like a wolf – greedily lapping at the blood, complete with greedy slurping sounds. Then the presenter was standing in the Place de la Concorde (ironically enough) or somewhere equally grand, surrounded by what looked like a passing group of tourists who had all suddenly fainted – no doubt overcome with the thought of all that blood – but who were, I think, supposed to represent some of the guillotine's victims (although given that they still had their heads on this bit wasn’t very convincing). ‘The oldest victim was 93’ – here the presenter was almost shaking with excitement at the information he was imparting – ‘and the youngest was just 10!’ – by this stage I think he was actually beginning to foam at the mouth. Then, having asked us to imagine how much blood comes out of a body when it’s just had its head lopped off, he grabbed a bucket and tossed its contents onto the street to illustrate the point. A red liquid with what looked like little chunks of meat in it (surely we don’t have bits of meat floating around in our arteries, do we?) washed across the pavement. And then the dog – or wolf – again. We then cut to the spot where mass burials of all these headless bodies had taken place. Even Louis XVI and Marie Antoinette had been tossed in here – disgraceful! All the while the presenter was getting more and more excited. ‘Can you imagine,’ he breathlessly asked, ‘just how bad the smell was at the height of summer?’ Pretty bad, I imagine, but luckily there was now an expert to help us in case our imaginations weren’t up to the task. The expert – who had apparently attended actual mass graves and so knew of what he spoke – said this to the presenter: ‘Well, you know what the smell of rotting meat is like….’. I have to confess that at this point I turned it off. 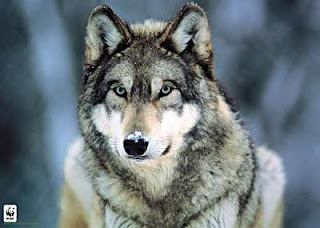 A European grey wolf watches in anticipation for the fall of the guillotine. So, this is what I was wondering. Here in the blessed civilised world, are we beginning to feel too civilised, too peaceable, too averse to a decent bit of murder and mayhem to satisfy our primal urges? Is that why we need this kind of thing – I say ‘need’ because presumably someone’s watching it if they’re showing it – to address this gap in our lives, this absence, this appalling gentility which frowns upon guillotining 300 citizens of a weekend? And have we become so detached from reality that it seems perfectly normal to be asked to imagine the smell of rotting meat so as to become better acquainted with the stench of decomposing corpses? Are people actually watching this kind of thing and going, ‘hmmm, yes, interesting, I guess that is what it would smell like’? Really?